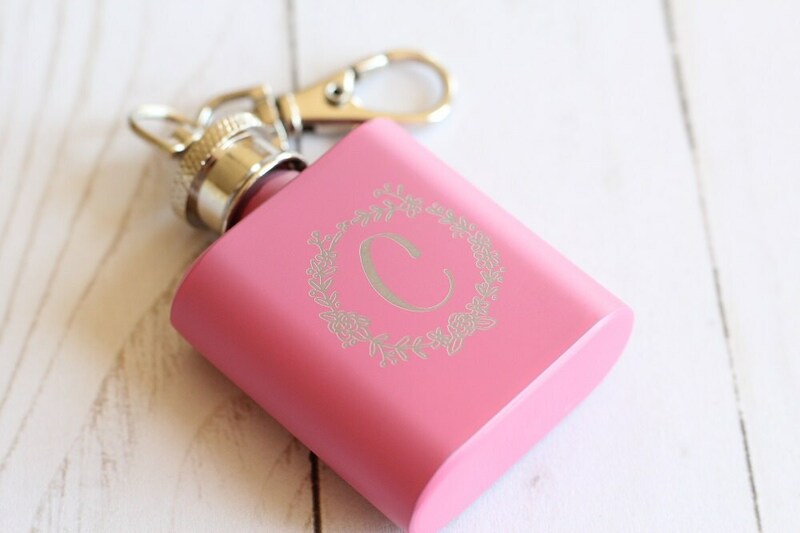 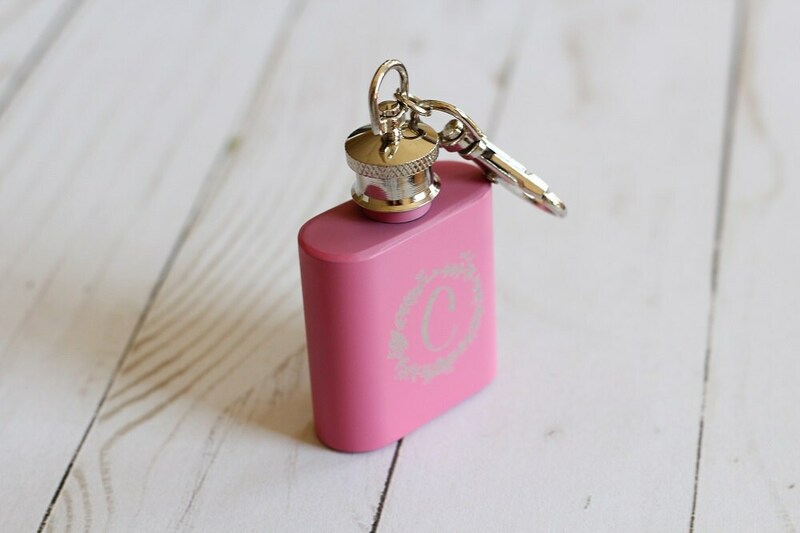 Pink stainless steel 1oz key chain whiskey flask. 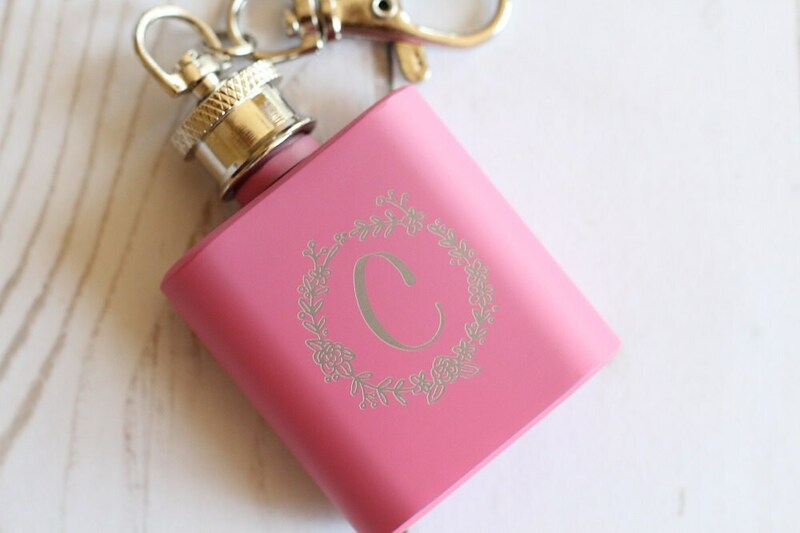 with floral wreath and initial engraving on both sides of the flask. 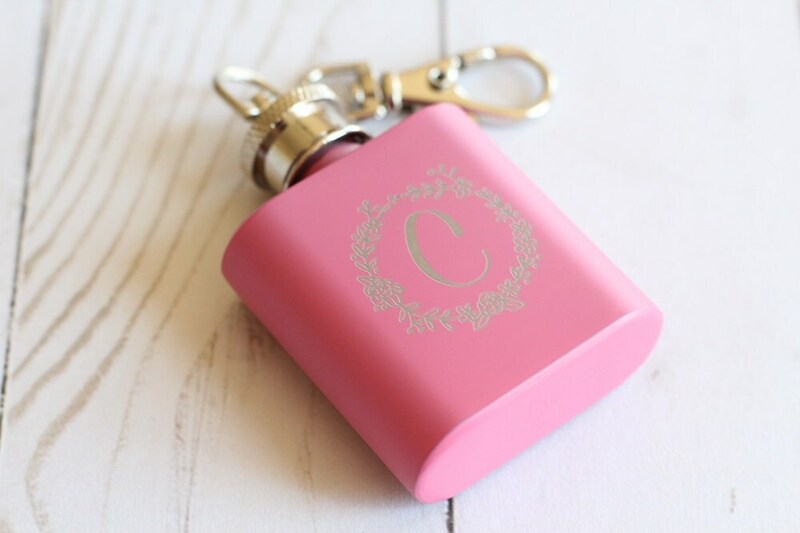 If you are interested in another design to be engraved onto the flask convo us with details..